Three Card Poker features three ways to play and four ways to win. Players can bet against the dealer, the value of their own hand or both. A bet on Pairs Plus wins on a pair or better. The ante bet plays against the dealer. To stay in the hand, the player must make a bet equal to the ante on the Play spot. Players betting both the Ante and Play spots qualify for the Ante Bonus. Qualifying Ante Bonus hands pay regardless of the outcome of the dealer’s hand. 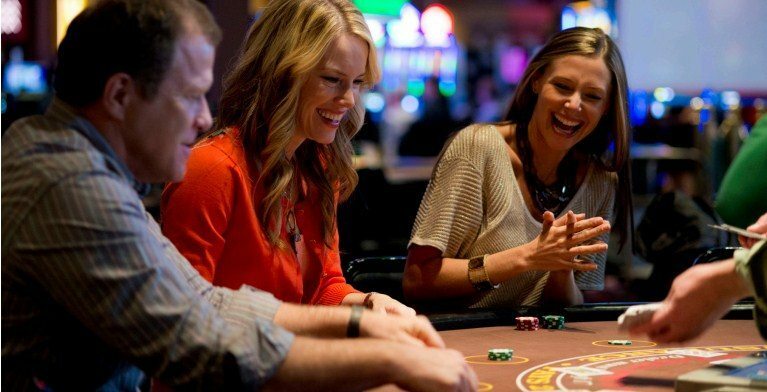 Our Three Card Poker game includes two optional bets. The 6 Card Bonus side bet uses the players’ and dealer’s cards to make the best five-card poker hand. The 6 Card Bonus pays on a three of a kind or better. The progressive bet is $1 and pays on any ace, king, queen. An ace, king or queen of spades triggers the Progressive meter which starts at $1000.